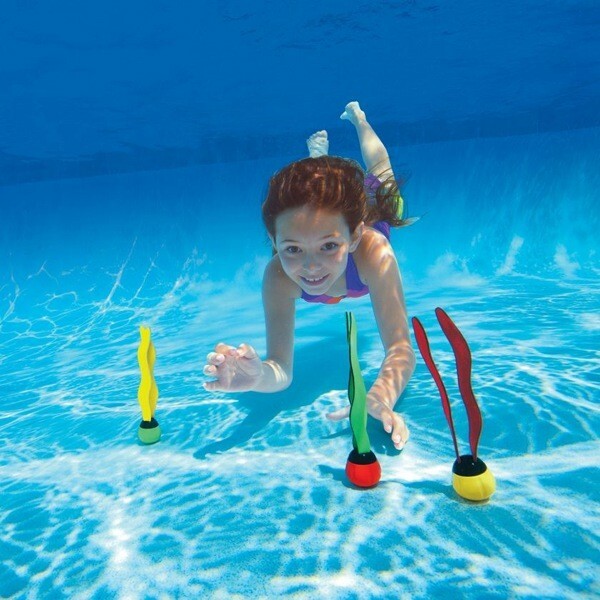 The colorful fabric tail of the Intex Aquatic Dive Balls flutters to the bottom of the pool and is easy to see and grab. Host your own dive ball challenge and race to see how many you can collect. Or, see how many you retrieve with just one breath. 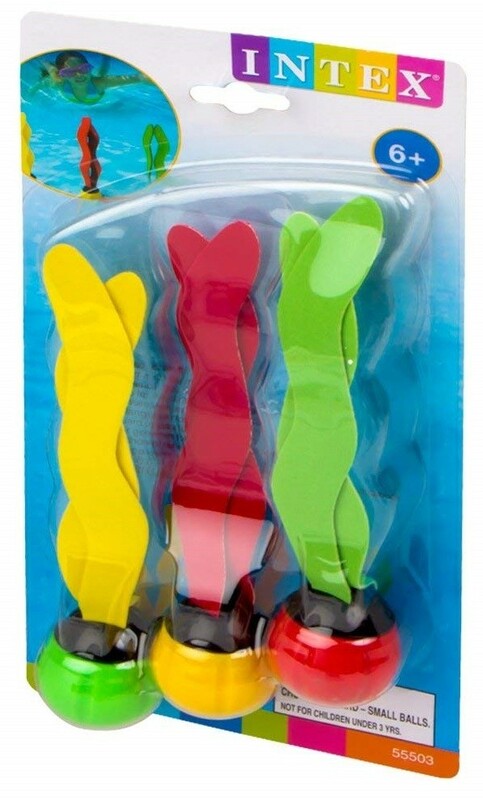 Comes in a 3-pack of assorted colors.